Champion for Children recipient Mike Piazza (center) is congratulated by Christopher York, President of the Friends of the CAC, and Marla Behler, CAC Executive Director. 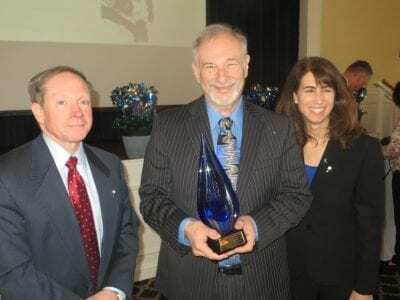 Photo by Eric Gross Michael Piazza, Putnam’s Commissioner of Social Services,… Please login below or purchase a subscription to the Putnam County Courier to access this content. 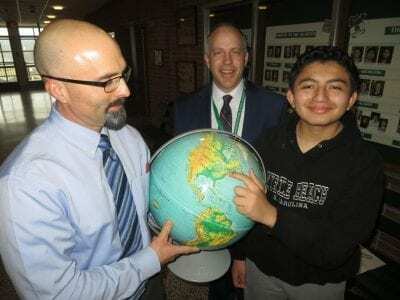 Henry Wells Middle School teacher Mike Bellucci holds a globe and asks Mario to locate different places around the world. Each answer was correct. Wells Principal John Clark beams with pride for his student. Photo By Eric GrossMario Guevara may only … Please login below or purchase a subscription to the Putnam County Courier to access this content. Four district-wide administrators in the Brewster School District have decided to freeze their salaries for the 2018-19 school year as well as reduce vacation “buy back” to 10 days and contribute an additional 3 percent to their health insurance cost… Please login below or purchase a subscription to the Putnam County Courier to access this content. 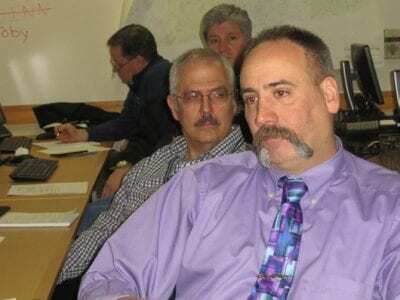 Commissioner of Emergency Services Ken Clair addresses the After Action get-together while Robert Cuomo, Director of Emergency Medical Services, Fred Pena, Commissioner of Highways and Facilities, and John Tully, Deputy Commissioner of Highways and F… Please login below or purchase a subscription to the Putnam County Courier to access this content. Electric companies’ slow response in restoring power to hundreds of thousands of New Yorkers following last month’s back-to-back storms infuriated residents and officials alike. Governor Andrew Cuomo directed a statewide query into the utilities’ pre… Please login below or purchase a subscription to the Putnam County Courier to access this content. Michael Clancy of Mahopac was among The University of Scranton students inducted into Omicron Delta Epsilon, the international honor society in economics. The University’s chapter of the honor society was established in 1969. Clancy is a junior major… Please login below or purchase a subscription to the Putnam County Courier to access this content. Weather Forecast: Spring, Maybe. Fingers Crossed! March-June- Paws for Reading Program at Kent Lib. More info: kentlibrary.org, 845-225-8585 April- Alzheimer’s Association programs in Putnam County. More info: www.alz.org/hudsonvalley, 800- 272-3900 April- Paintings by Barbara Lemischak on dis… Please login below or purchase a subscription to the Putnam County Courier to access this content. Above: These five BHS students created a display on Nigeria. The quintet includes Fehintola Falana, Susan Adeyeye, Jalom Wells, Darlyn Palma and Chanel Hernandez. 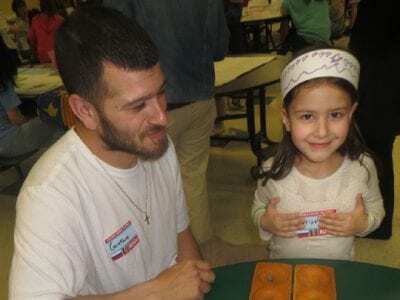 Top: Christina and her dad, Gastave, play the Nigerian game called Mankola. 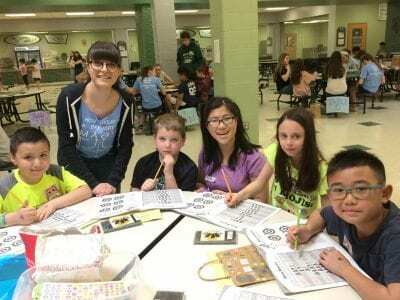 Photos by E… Please login below or purchase a subscription to the Putnam County Courier to access this content. More than 700 men, women and children along with an occasional dog will be up early Sunday to participate in Putnam’s Heart Walk, which takes place on the Brewster High School campus in Southeast. The American Heart Association reported this week th… Please login below or purchase a subscription to the Putnam County Courier to access this content.